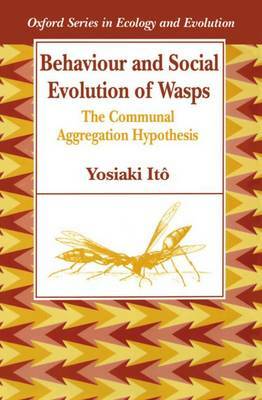 In this book, Yosiaki Ito presents data on tropical wasps which suggests that kin-selection has been over-emphasized as an evolutionary explanation of sociality. He concentrates on the Vespidae (paper wasps and hornets), a group much discussed by evolutionary biologists because it exhibits all stages of social evolution - subsociality, primitive eusociality and advanced eusociality. The author reports field observations by himself and others in Central America, Asia and Australia, showing that multiple egg-layers in a nest are not uncommon. Because coexistence of many "queens" leads to lower relatedness among colony members than in single-queen colonies, he suggests that kin-selection may not be the most powerful force determining observed social patterns. Instead, subsocial wasps may first have aggregated for defence purposes in habitats with a high risk of predation, with mutualistic associations among many queens. Through parental manipulation and then kin-selection, differentiation into within-generation castes may have followed. This study should be of interest to students of ecology, evolution and behaviour.